It sounds unreal, farfetched, or even crazy — ‘poverty is illegal’ — but it’s happening and has been for far too long in our country. When you look at the frequency people are incarcerated because they can’t pay fees for speeding tickets and other small infractions, it’s heartbreaking. There are 2.2 million people locked up on any given day in the U.S. according to the Bureau of Justice Statistics (BJS). 1. Cash Bail does not treat everyone the same. “The practice of making a defendant put up a large sum of money to ensure they’ll appear for trial, regardless of whether they pose a danger to the community or themselves,” is turning lives upside down according to acclaimed author and law professor, Peter Edelman. He wrote “Not A Crime to Be Poor: The Criminalization of Poverty in America,” and he’s spoken at Mercy Housing events. His book is a must-read for everyone in our country. 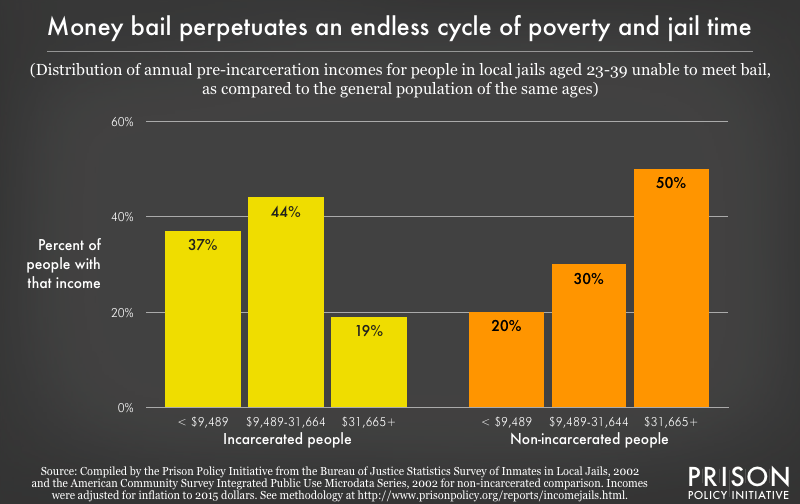 Low-income people accused of a crime spend time in jail while their wealthier counterparts walk free. That time in jail causes them to lose jobs and their families suffer—making recidivism (returning to jail or prison) far more likely. There are 536,000 people incarcerated that are awaiting trial. Trauma associated with incarceration before the accused is proven guilty is hurting people with low-incomes disproportionately and is detrimental to society. 2. Fees and fines are breaking up families and communities. 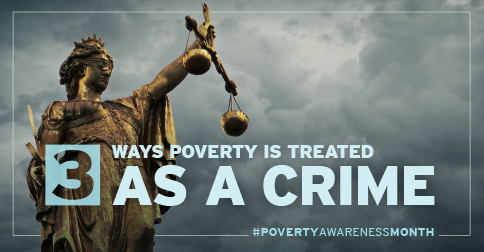 Countless people living in poverty are forced to plead guilty (even when they are in fact innocent) because they simply cannot afford the legal fees to fight the case against them. Forty-three states charge for a public defender. Fines for less than $200 might keep someone in jail due to the “pay or stay” system. Courts rarely ask if a defendant has the ability to pay rather than their willingness to pay. Overuse of incarceration is negatively impacting families, causes job loss and a myriad of other problems and 2.7 million children have an incarcerated parent. 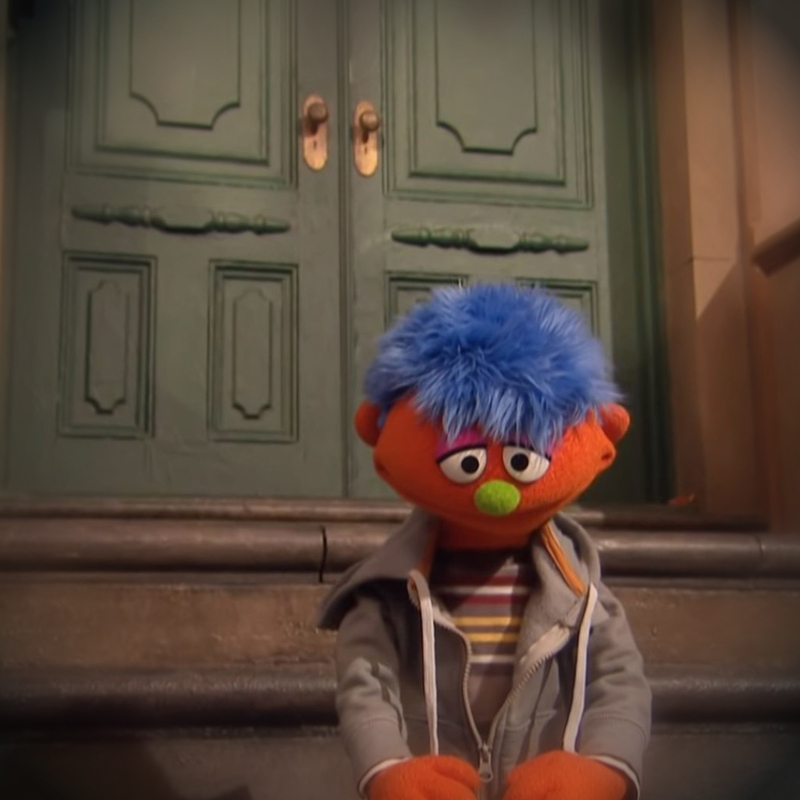 Mass incarceration is a common enough problem that Sesame Street created a character that has a father in jail to spread awareness and understanding for children dealing with this issue. 3. Private probation can keep people with low incomes accused of crimes in a cycle of debt and prison. Some probation programs are outsourced to private companies, and when people are placed on a “pay-only probation” the collection of the probation fees is the primary focus of services and punishment. If this payment is missed, no matter the cause, the person will go to jail. 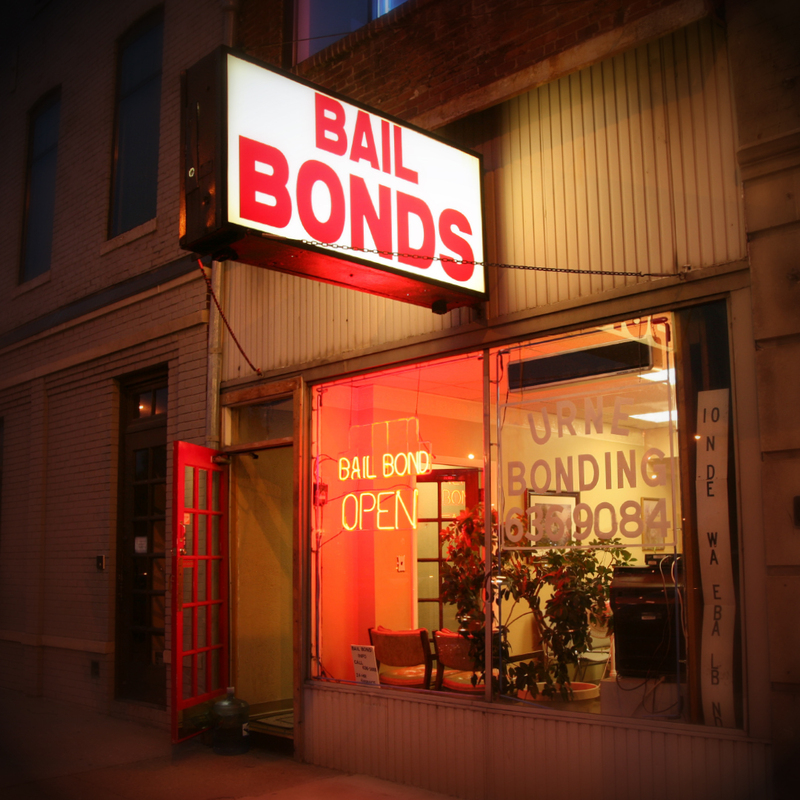 While in jail they may continue to incur fees, creating an endless cycle of debt and jail. 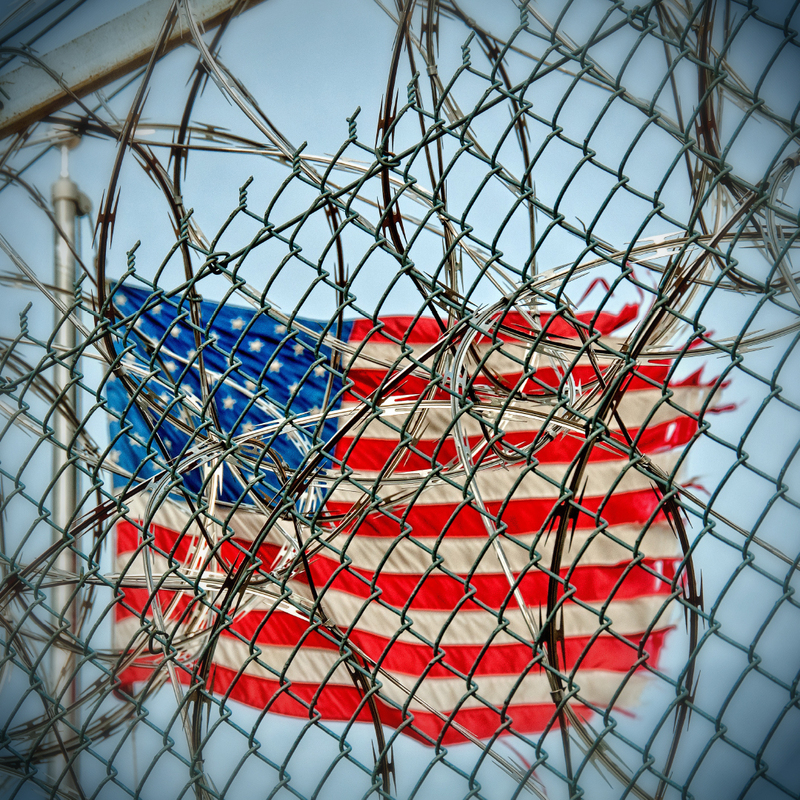 The U.S. has the highest incarceration rate in the world, but violent crime has been declining. Mercy Housing was founded around one simple phrase that can be applied to our country’s challenges with incarcerating a disproportionate number of low-income individuals, “we can do better,” and that starts with understanding and awareness.